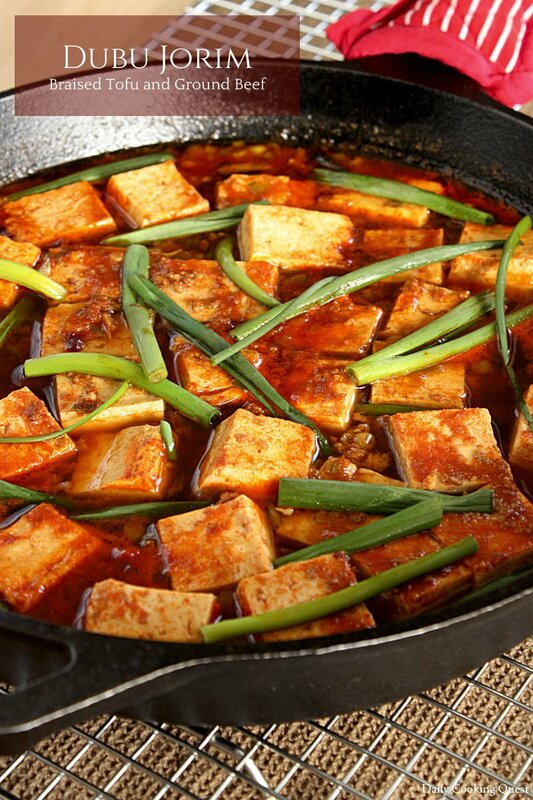 Winter is a good time to enjoy a good spicy braising dish, and I find myself drawn to Korean dubu jorim many times this time of year. 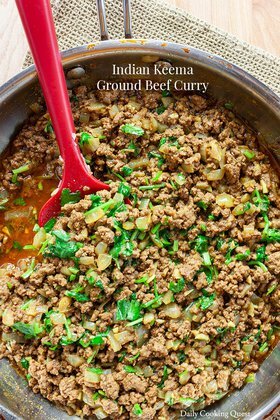 This dish is really easy and quick to prepare. Prep time is probably less than 15 minutes, and the cooking time is about the same. If you have a minimally stocked Korean seasoning in your pantry, you should be able to quickly replicate this recipe in your kitchen. Korean dishes tend to look extremely scary spicy, but I think it is still tolerable for most Indonesians like myself. 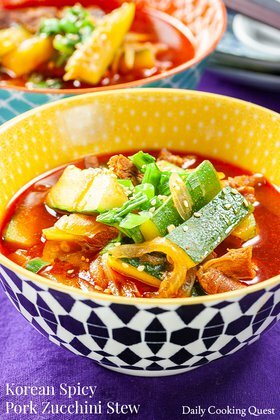 If you are not sure you can handle the spiciness, feel free to reduce the amount of Korean chili pepper (gochugaru) used in the recipe, but don’t completely omit it. There are two types of gochugaru, coarse and fine, you can use a mix of two, of just pick either all coarse or all fine, it really doesn’t matter in this recipe. 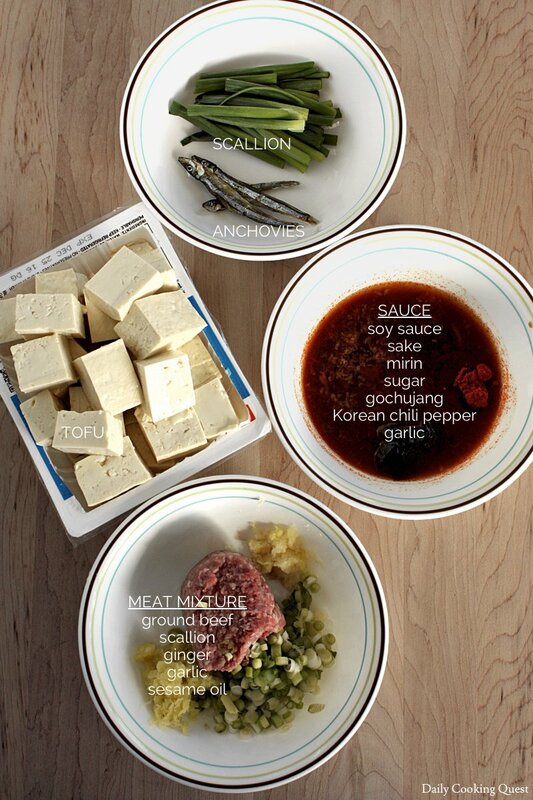 Another key ingredient is gochujang, a chili paste that is also very commonly used in many Korean dishes. 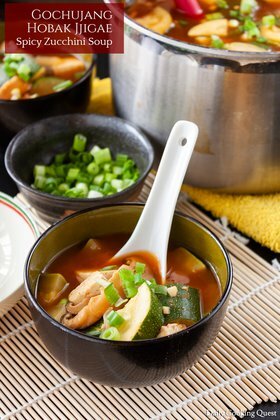 If you are familiar with Japanese cuisine, then you probably know that Japanese use katsuoboshi in most of their dishes. In this respect, the Korean is very similar to Japanese, but instead of katsuoboshi, they use anchovies. The store that I frequent sells Korean anchovies in the freezer section, next to miso paste. If you cannot find this in your nearby stores, you can always place an order of Korean anchovies with Amazon. Or in a pinch, katsuoboshi is also a good substitute, though the taste of course will be slightly different. I dare hope that the rest of the ingredients should not pose a problem. In a mixing bowl, mix together all the meat mixture. Set aside. In another bowl, mix together all the sauce mixture. Set aside. Heat a skillet/frying pan on medium heat. Add the meat mixture into the pan. Once the meat is no longer pink, add Korean sardines. Mix well. Add tofu cubes and water. Bring to a boil. Add sauce into the pan. Mix well, then reduce heat to a simmer and cook for 10 minutes. Turn off heat. Add green part of scallions. Serve with steam white rice. I made this the other day and it was wonderful! My family loved it! Since then, my husband has learned he is allergic to tomatoes. I wondered if you might have any suggestions for a good substitute? I’m thinking of maybe adding some beef or veggie broth for the liquid, and maybe some black beans for substance? Just wondering if I should add some extra seasonings too, and/or if there are some other things you might recommend. Thank you!? Hi Gloria, thanks for giving the recipe a try. I don't think there is any tomato in the recipe, so maybe your husband is allergic to other food stuff aside from tomato? As for extra, maybe try adding enoki mushroom right at the end of cooking since they take no time at all to cook. Cheers!